We use the information we collect for a number of purposes including to provide the products and services users requested, communicate with users, improve our services, improve our website’s functionality, and for internal business analysis or other business purposes. Your information is provided by you when you order a product or sign up on one of our sites. We do not display your contact information publicly on our sites nor disclose personally identifiable information to third parties, except for when (1) we have your permission to make the disclosure, (2) the disclosure is necessary for the purpose for which the information was obtained, (3) a third party is assisting us to provide or manage the services or websites, or (4) where otherwise stated in this policy. We also may disclose information where permitted by applicable law or when the disclosure is necessary, in our sole discretion, for the establishment or maintenance of legal claims or legal compliance, to satisfy any law, regulation, subpoena or government request, or in connection with litigation. You will, of course, receive emails as part of the services provided including, but not limited to, webinar registration invitations, forms, surveys, status updates, and reminder notifications. In addition, we have email newsletters and other marketing/promotional messages that we send out periodically. You can unsubscribe from communications you are connected to by clicking on the “Unsubscribe” link or by following the instructions provided in those communications. If you do not wish to receive any email communications from Emphasis on Excellence, Inc., you may contact us, and our team will delete you from our system. 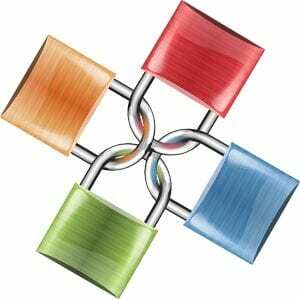 Our team has access to your account data when needed to help provide the services of our site. Our team may view your personal account data for a number of reasons, including to help solve a problem that you or another user is having with any part of our service, answer any questions that you may have regarding our service or website, and for internal business analysis to improve our service as well as your user experience. We use third-party services on our websites to assist in improving our websites, communicating or interacting with the public, including social media services, widgets, apps, and plugins. These services may distinguish or trace your identity through, for example, persistent, multi-session cookies. You can configure your system to delete cookies or disable them. In general, we do not collect or disseminate information collected by these services. When interacting with these third parties, their privacy policies apply. In addition, our website may contain links to third party content or websites that Emphasis on Excellence, Inc. does not control. This includes links to clients, sponsors and partners. Emphasis on Excellence, Inc. is not responsible for the treatment of your information by any third party. For a complete list of the third-party services that we currently use, please contact us. If you should ever need to access, change, delete, or correct your email address or some other information you have provided, you can just email my team at help@meggin.com and we will implement your requested changes as soon as we reasonably can. To protect your privacy and security, we will also take reasonable steps to verify your identity before granting access or making corrections. When you edit your information or change your preferences, information that you remove may remain in our databases or backup media because it is not always possible to completely remove or delete information from those locations. Thank you for your interest in what we are doing here! President, Emphasis on Excellence, Inc.